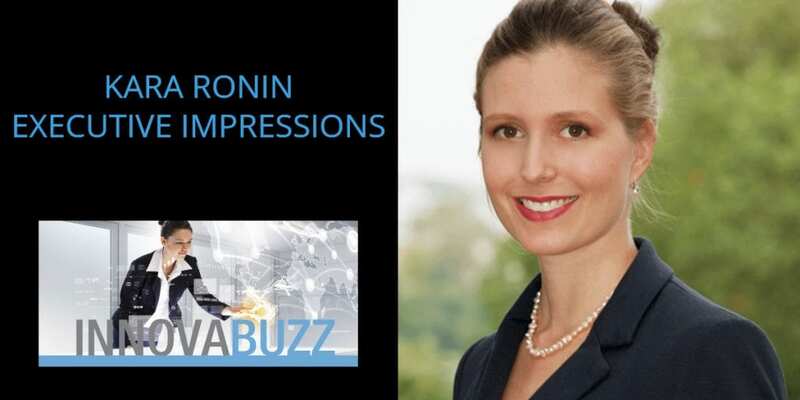 In this episode number 32 of the InnovaBuzz podcast, Kara Ronin of Executive Impressions shared with us her experience working and living in different countries and cultures and her insights into building an online business based on that experience. It’s another inspiring interview with a fascinating and very engaging guest; find out more on the podcast. I soon found out that after writing a few articles, people started sharing them and people liked what I was writing and business opportunities started opening up. Kara started writing a lot of articles for her blog, people started sharing those, then she had more and more website visitors that lead to more business. Publish information regularly on your blog! Using the internet, Kara was able to reach a global audience with the information she has, that is of value to people everywhere. By using the internet, Kara achieved leverage and the freedom to work from anywhere. Don’t keep your knowledge to yourself, for fear of losing your competitive edge. If nobody knows about it, it’s not much use. Publish what you know in articles, videos, podcasts etc. People become interested in what you do, share your information and connect with you. Kara does a lot of testing of opt-in offers, and sign up incentives. She emphasises how important it is to engage with your audience and find out what they really want and how you are able to help them. The biggest risk in business is that people avoid risk and stay in their comfort zone. Fear stops people taking the step that could move their business from just functioning to something that is amazingly successful. It’s more than a business issue – it’s a mindset issue. If you keep all the information, your knowledge, your expertise to yourself, nobody’s going to know about it, and as soon as you start putting it out there, whether it’s in the form of articles or videos, or a podcasts, people start following you. People are interested in what you do. You get more visits to your website. You get more business. Here are Kara’s answers to the questions of our Innovation round. Watch the interview to get the full scoop. #1 thing to be more innovative – Think outside of the box, and choose the biggest project that makes you the most scared. Best thing for new ideas – Brainstorming. I love talking with people, even if it’s people within your family, your friends, brainstorm ideas to get other people’s opinions and their ideas, as well. That really breeds innovation. 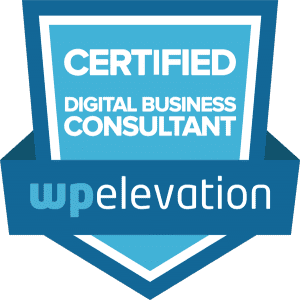 Favourite tool for innovation – WordPress! My website runs on WordPress and that really allows me to create whatever I want and to grow my own online business and to be as innovative as possible. Keep project / client on track – Set SMART goals, and focus on the 3 to 5 most important ones. Differentiate – Modeling off somebody else doing something similar, but not necessarily competition, but somebody that’s doing innovative things in their business. Kara suggested I interview sales expert Ian Altman of GrowMyRevenue on a future podcast. So, Ian keep an eye on your Inbox for an invitation from me, for the Innovabuzz Podcast, courtesy of Kara Ronin! Hi, I’m Jürgen Strauss from Innovabiz. Welcome to Episode No 32 of the InnovaBuzz Podcast – designed to help smart businesses with an interest in innovation and the Internet of Things become even more innovative. In this episode, my guest is Kara Ronin, the founder of Executive Impressions, who help consultants, executives, and entrepreneurs develop presence, power and connections in global business. Kara brings extensive experience from working in different countries and cultures to her online business and she has been published in Time Inc, Business Insider India among others. This is a fascinating episode, with a lot of great advice about using your knowledge and experience to setup a successful online business. We talked about the importance of publishing regularly to your blog, getting customer input in developing new products and moving outside of our comfort zone. Now, let’s get into the Innovation Hive and get the Buzz from Kara Ronin. Jürgen: Hi. I’m Jürgen Strauss from Innovabiz, and I’m really excited to have here with me on today’s episode of the InnovaBuzz podcast, all the way from Lyon in France, Kara Ronin of Executive Impressions. Welcome, Kara. It’s a privilege to have you on the InnovaBuzz podcast. Kara: Hi Jürgen. I’m really excited to be here today. Jürgen: Now, Kara is an international business etiquette expert, a keynote speaker, and founder of a company that she runs which is called “Executive Impressions.” She’s got a very interesting background which we’ll let her describe to us in a little bit more detail, but when Kara and I connected, and I read her background, I thought, “Wow, that’s really impressive.” There’s a lot there that’s in common with my corporate experience, having worked in many different countries and experienced many different cultures. That formed the foundation of your business, right? Kara: Exactly. It was one of the reasons why I decided I wanted to create Executive Impressions, because I had so much cultural knowledge and experiences myself. I’ve had to overcome so many barriers, so I wanted to pull that together, and help other people in business when they’re dealing with people from all over the world. Jürgen: Okay. I’ll come back to that. We’ll explore that a little bit more, but before we get onto all of those things and what you do in Executive Impressions, let’s find out a little bit more about you as a person. When you were young, what aspirations did you have? What did you want to do when you grew up, so to speak? Kara: When I was young, one of the … I didn’t exactly have a specific job that I wanted to do, but I knew that I wanted to do something where I could help other people. It sounds kind of broad, I guess, but the job descriptions that I had in my mind would be like I could have been a doctor, I could have been a hairdresser, I could have been anything that would help other people, or some way that I could help people in my family, as well, so that was what I wanted to do when I was young. As I got older, I went through high school and I had no intention of going to university. I had in mind that university wasn’t for me. It was for other people, that I won’t be able to complete a university degree. That’s what I did, and then, I started learning Japanese, which got me interested in other languages and cultures, and I went on an exchange program to Japan for 1 year, that was when I was 19. It was my first time living away from home, and not only lived away from home in a different apartment of the city, no in a different country! Jürgen: Were you in your own apartment or did you live with a family? Kara: No. It wasn’t a home stay. What happened was the students were organized in a dormitory, so we were all living together and there were students from all over the world, from the US, all countries of Europe, France, Asia as well. A lot from Australia, of course, because Australian’s love to travel and experience different cultures. No, we lived in a dormitory, and there were some Japanese students in the dormitory, as well, which was great because it really gave us the opportunity to speak Japanese. We went over there, it was to learn Japanese, so it’s always great to be given the opportunity to use and to learn and listen and understand a new language. Jürgen: Yeah, that sounds like a pretty exciting opportunity. I know a good friend of mine, when I was going through university, she was actually studying Japanese, and she spent a year in Japan. It’s a great thing. Kara: Yeah, it is. The culture is so different. I remember arriving at the airport and getting out of the airport, the school had organized a van to pick all of the students up because we’d arrived on the same flight and I just remember the shock. It was so different driving out of the airport, just seeing the cars that were different. There were lights everywhere, the people were different, the smells, the noises, everything. It was just amazing for me, and I still remember that experience when I arrived, the very first night. Jürgen: Yeah. Did that kind of direct your career path from then? That experience? Kara: It did, because I loved living in Japan, and I knew that I didn’t want it to end after the 1 year. The program, my exchange program was only for 1 year, and I was thinking of other ways that would enable me to go back to Japan, and live there, or work there, or do something there, because I just didn’t want it to end right then. After the exchange program, I did have to go back to Australia and finish my degree, so I did that, but then once I had graduated, I was free to do whatever I wanted and what I actually did is I started teaching English in Japan, because as a native English speaker, it’s easy to find an English teaching job if you have a degree, because you need that for the visa. That’s one of the requirements, but if you have a degree, and if you speak English, it’s really easy to find an English teaching job in Japan. It’s decent pay, and you can absolutely live off of the money that you earn as an English teacher. They often set up accommodation for you so you don’t have to worry about that, and yeah, you have a regular job with not an awful lot of time off, as you probably know, people in Asia like to work. Jürgen: Yes, that’s right. It tends to be full on. Kara: Exactly. They work a lot, so I only had 10 days holiday a year. That’s the standard in Japan when you’re working for a Japanese company, so it’s not an awful lot of time to travel around and see other places in Japan or Asia, but you have the weekends still, and it still gives you the opportunity to live there and just really experience the culture and the people. Jürgen: When did you then move into a corporate career from that teaching post? Kara: While I was teaching, I liked teaching. I wouldn’t say I loved it, but I liked it, but because my degree was in marketing, and international business, I felt that I was doing something, but it wasn’t really up to my full potential. I felt that I could do more, and I wanted to use my degree. I had studied that for 4 years, and I wanted to do something in business. I wanted to find a job in business where I could use my marketing, or international business skills. I finished a job where I was teaching in Fukuoka in Japan. It’s one of the Southern islands, the main Southern island in Japan, and I finished that contract. I went back to Perth, which is where I’m from originally, and I found a job with a Japanese company in Perth, surprise, surprise! That was great for me, because it was a company. I could go to an office every day, the same office, and get to know the people in the office. My job was a trading assistant, so I was helping the trading managers organize their work. It was an administrative and an accounting type job. That got me interested in accounting, which is something that I had learned at high school. I had never studied that in university, but I learned it a bit at high school, and I really enjoyed it. Because I was using basic accounting, bookkeeping in that job, I thought, “Well, maybe this is something that I am interested in. Maybe it’s something that I would enjoy doing as a career.” I enrolled in a short course. It was sponsored by the company, but it was a short course, an introduction to accounting, or something like that. I really, really enjoyed that. After my contract, which was 6 months, I went on to study, enrolled in a master of accounting degree at a university in Perth, and I did that degree. It was for 1 year and a 1/2 it lasted for, and I did it full time. However, during that time, I had the option to go to New York and to live in New York for a year, because my husband was over there. I went with him to New York, and I did my degree, but it was online. It meant that I could do my degree while living in New York, which was pretty cool. Jürgen: That was cool, yeah. Kara: I had an amazing time there. That was the start of me moving from English teaching into the corporate world, into a more of a business type of position, which was what I really wanted to do. Jürgen: As a result of the jobs you had there, you obviously traveled a lot then? Kara: Yes. That’s right. Well, in the US, I did not work, because I didn’t have a visa. I couldn’t work there, so I was just studying, but after that, what happened was I moved back to Japan, so the Japan story wasn’t finished yet at that stage, for me. I went back to Japan after finishing my masters degree, and I found a job with an accounting firm in Japan, because one of the things, the big 4 accounting firms is Deloitte, Ernst & Young, Price Waterhouse, and KPMG. They are all in Japan, and they have quite a lot of foreign people who work there, and if you speak Japanese, as well as having the credentials that they ask for, then it’s easy to find a job in one of those places, relatively easy. I contacted all of them and I ended up getting a job with Deloitte, and I was working in a small team for the corporate tax department, but for international companies, so companies from the US or Australia, who wanted to do business with Japan, or set up operations in Japan. That was the team I was working in and I absolutely loved it. It was a fantastic time of my life, and I really felt that I was exactly where I wanted to be, where I needed to be. I loved it. However, I didn’t get the time, much time to travel at all, because same story. There’s not enough holidays or time off. I really didn’t get much past Tokyo at that time of my life. Jürgen: Where did the India experience come in, because I know that you’ve got a lot of connection with India and experience there? Kara: I have a lot of connections with India, and I write about Indian culture, but the funny thing is, I’ve never been there. It’s odd, isn’t it? Jürgen: That is odd, yeah! Kara: It is odd, but you’re right, I do have a lot connections, a lot of following, a lot of people from India, I guess they find my website just through general internet searches and I think that’s how the connection really started. Kara: Yeah, I’ve heard that. Jürgen: I love traveling to India. I don’t have as much opportunity to do that these days, but that was really fun, yeah. Kara: Yeah. Oh, that’s wonderful. I guess a lot of your business would have been with India, as well? That’s where your experience in India came? Jürgen: Yes. We actually set up a laboratory in India, a chemical laboratory and we ended up building a plant there and I was involved in the market research to justify that initially which was a lot of fun, and had us traveling all throughout India. I’ve been to international conferences up in Agra, near the Taj Mahal which was fun, and did keynote presentations there and all kinds of stuff. Jürgen: I always put on a lot of weight in India, because I love the food, as well. All right, so when did you decide that you were going to go out on your own and set up Executive Impressions and use the experience that you’d gained to advise and help other people in your own company? Kara: Okay. Well, I decided to set up Executive Impressions when I was here in France. After working in Japan, and then living a little bit back in Australia, I moved to France, because that’s where my husband is from. It was when I arrived here I found out and realized that my degrees that I had back in Australia, especially my accounting degree, weren’t really worth anything here in France. Jürgen: Yeah. The Europeans tend to be very particular about that. Kara: They are, and I just kept hearing, “You should re-qualify in France,” and that meant doing a whole new degree in accounting, in French, and that was something that I was not prepared to do at all. I decided, “Okay, well, if that’s the case, I don’t want to become a secretary. I don’t want to” … Because I could have found a job easily as a bilingual secretary or something like that, but I didn’t want to do that. I thought, “Okay, well, I’m kind of being pushed here towards something else, so let’s see how I go at starting my own business.” I originally wanted Executive Impressions to be, I guess a cross cultural consultancy, where I offer corporate training to companies in France, or in Europe, and help them interact better with people from all over the world, from English speaking countries, or Asian countries, as well. I created my website, I created some brochures, start contacting people and nothing happened. I had meetings, I met with people, and absolutely nothing happened. I thought, “Okay, this isn’t working. This in person corporate training thing I wanted to do is just not working at all.” I started writing articles for my website, and I found out that there is this thing called a “blog.” I thought, “Okay, well that’s interesting, so I’ll just keep writing articles for a little while. Maybe that’ll create a little bit of traction for my business.” I soon found out that after writing a few articles, people started sharing them and people liked what I was writing. Through that, I discovered there was also this type of business that you could have that was called an “online business.” It was where you work with people online, you create digital products, you can be anywhere in the world, and your clients can be anywhere in the world, as well. It didn’t matter where you were. I started researching more of that, finding out about other people who created online businesses, how they did it, what they sold, how they sold it, and it just developed from there. Executive Impressions originally was going to be a traditional, in person consultancy, but now, it’s very much focused online. That is my focus. I sell eBooks, I do coaching on Skype, I am creating right at this moment actually, and next month it’s going to be launched, my first video course which is going to be sold and people can take it, students can take it online from anywhere in the world, as well. That is my focus now, and I love it, because it gives me the opportunity to work with people from any country, which is really exciting for me, so there is that cross cultural element to my business. Jürgen: Okay. Well, I mean, there’s about 5 absolute gems in there that I just want to emphasize for our audience, and the first one, and the one that straight away had me sitting up really tall in my chair here, that you started writing articles for your blog and then people started sharing that, and then all of a sudden, it opened your eyes to business opportunities and obviously you had leads and so on. I can’t emphasize that part enough, because it still surprises me how many people have us build a website or they have somebody build a website, and they just don’t publish information regularly. That’s one key point. The second one there is then leveraging the internet to share information and sell information that you have that’s valuable to people, and so that opens up a global audience, that opens up a possibility for you to be anywhere you want to be. You’re not bound by your job, and thirdly, it gives you huge leverage, because it’s not one on one consulting, it’s one to many consulting and once it’s done once, provided it’s evergreen material, you have it there online, providing value to people and people continue to pay you for it. That’s just fantastic. I love it. Kara: Absolutely, yeah. I love it, too. One of the things that I have really discovered through this experience is that if you keep all the information, your knowledge, your expertise to yourself, nobody’s going to know about it, and as soon as you start putting it out there, whether it’s in the form of articles or videos, or a podcast, as well, people start following you. People are interested in what you do. You get more visits to your website. People start reading your articles, and sharing and connecting with you, and it’s just amazing how much interaction you can create. Jürgen: Yeah. Well, there’s another gem. That’s fantastic, because again, the kind of old school conventional wisdom is, “I have all this information and knowledge, and if I let the cat out of the bag, so to speak, my competitors might get wind of it, and then I’m going to get less sales,” but it’s actually exactly how you say it. Once you share information, there’s a couple of things that happen. First of all, you position yourself as someone who knows the material, but you also build a relationship with people who see, yes, you know your material, and yes, you’re giving away a whole lot of stuff, so they trust you. They learn to trust you. They build a relationship with you, and at some point, there’s going to be a line where it says, “Okay, we go beyond that information, and you have to pay me for it,” because it’s got more value now. People are at a point where that relationship has developed, you’ve built trust with them, they’ve come to trust you. Kara: Exactly, yeah. It builds a relationship, and that’s hard to do when you’re working with people online, because you’re not physically with them. You can’t have a coffee, you can’t have a casual chat. You can’t see them, and gauge how they’re feeling from their body language or anything, so it can be hard to build the relationship online. The only way you can do that is by giving a little bit of yourself, whether it’s information about you, your expertise, whatever it is, and originally, I found that hard myself, because I came from a traditional corporate environment where you get paid for what you know, and you don’t give anything away for free. I originally found that really hard to get used to myself, but little by little, I gradually realized that, “Okay, if I open up a little bit more, give more information and expertise and help people, and make an impact on their life, even just in a little way,” then it can come back to you in the form of signups to your newsletter, in the form of people purchasing your products, your eBooks, or something, the next level, the next higher level up on the price range would be coaching or courses in some way. It does come back to you, but you have to think about as a long term project. It’s not going to happen overnight in one week. You have to commit to it, and stick to it for months and then years, as well. Jürgen: Yeah. Well, that’s all really good advice. Really great. Thanks for that, Kara. I really appreciate that. In your business, what do you see as the biggest challenges right now? What are you doing about them? Kara: Okay. One of the biggest challenges right now in my business is to get more of a following. It’s something that I’m always trying to increase. I like to encourage people to sign up to my newsletter. It’s one of the main focus areas of my business, and that’s where I would like everybody who visits my website to first go and to commit to that. That’s the first commitment that I want them to make is my newsletter. I’m always playing around with different opt in offers, different freebies, different gifts that I offer when people signup to my newsletter. Next month, I will be, as I mentioned before, releasing a video course, so I’ll be changing the opt in offer for my business, so one of the challenges is to work out what do people want, really? What do they really want to know about? That can be difficult to discover, and to pinpoint, and identify, but if you do every now and then, maybe a questionnaire, or if you’re interacting with your audience regularly, discovering what problems they have, what issues they need help solving, then it’s fairly easy to pinpoint what freebie you can offer, and therefore, what products or services you can offer for them, as well. Jürgen: Yeah. That’s a novel concept, listening to the customer! You test the different offers that you make, and see what works better and what may not work as well? Kara: That’s right, yes. I test them and track the numbers and work out how many people signed up with this offer compared to offer B, and yeah, I work out which one resonated with people the most. Jürgen: Again, another piece of great advice there. In terms of innovation, what’s the most innovative thing you do in your business right now, or do you have something in train for the future that you might want to share with us? Kara: The most innovative thing that I’ve done is launching into video, is creating videos, creating a YouTube channel where I have free videos, or creating video courses, as well. I never really thought that I would be someone who would feel comfortable on camera, I’d feel comfortable filming and talking about what I do to a box, to a camera, but it’s something that I actually really enjoy and it has been great for my business, for getting a following, for getting more people to know about what I do, the expertise. That has been the most innovative thing that I’ve done in my business. Jürgen: You talked earlier about building a relationship online, and the constraints you have because you’re not with that person or with those people physically, and I think video adds another dimension to that, because people can actually see you, they see your appearance, they see your body language, they see the unspoken communication, they see your enthusiasm for the topic, and so on, right? Kara: Right. Exactly, that’s right. There’s articles, that’s one first way to communicate with people, but it’s pretty impersonal, because if you’re just reading text on a screen. Then, there’s the podcasts or something in the form of audio which is great, as well, because I listen to a lot of audios myself, especially when I go running. That’s really great because you get to hear the person’s voice, their tone of voice, how they speak, and you can gauge their enthusiasm as well, through audio, but then video adds another element because you can see that person, you can see how they move, their facial expressions and their body language, like you said, so it’s really the ultimate way when you’re running an online business, it is the ultimate way of connecting with someone and building a relationship. Jürgen: Yeah. All right. That’s great advice, too. What do you see as the risks of going out on an entrepreneurial journey, and particularly trying different things and pushing the boundaries? Kara: I think one of the risks is that people won’t push the boundaries, or they won’t move forward, or try new things, because of fear, because they’re scared, because they might be comfortable where they are, because it’s working. Well, somewhat. You know, it’s working, they’re functioning, but I think fear stops a lot of us from really taking the step that could move your business from just functioning right now to something that is amazingly successful. Combating that fear and dealing with it and overcoming those challenges is something that you need to do on a daily basis, but it’s something as an entrepreneur that is a very important part of the journey, and not many people talk about it because it’s not a technical issue. It’s not really a business issue, it’s more of a mindset issue. I think the mindset issues are extremely important when you’re an entrepreneur, because you’re working alone, most of the time, anyway. You don’t have a team around you, you don’t have a boss to tell you what to do or to guide you, so you have to confront those mindset issues on your own, but there are many resources out there that will help you. There are many people who do this for their actual job, who help you overcome the mindset issues and confront those fears and face up to those fears and all of that. That would probably be one of the biggest obstacles or challenges that entrepreneurs face. Jürgen: Yeah. Well, we’re often in our way, aren’t we? It’s interesting, because I was reflecting back on what you said earlier about not wanting to go to university because you believed you weren’t capable, so that’s maybe a little bit of lack of risk there, and look where you are now, taking risks and pushing the boundaries! Kara: Yeah, exactly. That’s right. Kara: Yes. that’s so true. I’m not familiar with him. Tom O’Toole, you said his name was? Kara: Okay. I’ll look him up on Google later, but that is so correct. It’s a beautiful message to send people of all ages. If you learn it when you’re young, that’s great, because you can go through life with that message in your mind, or if you learn it when you’re older, that’s great as well because then you can change those things you’ve always wanted to change about your life, or create new opportunities, so it’s a beautiful message to learn at any stage, I think. Jürgen: Yeah, that’s great. All right. I’d like to move on now to “The Buzz” which is our innovation round. For the benefit of everyone, our innovation round is designed to help our audience and they’re primarily innovators and leaders in their field -help them with some tips from your experience. I’m going to ask you a series of 5 questions, and hopefully you will give us some quick one line, really insightful answers that’s going to inspire everyone to go and do something awesome. Jürgen: What’s the number 1 thing anyone needs to do to be more innovative? Kara: Think outside of the box, and choose the biggest project that makes you the most scared. Jürgen: Okay. That’s good advice. Become really scared, yeah. Excellent. All right. What’s the best thing you’ve done to develop new ideas? Kara: Brainstorming. I love talking with people, even if it’s people within your family, your friends, brainstorm ideas to get other people’s opinions and their ideas, as well. That really breeds innovation. Jürgen: Yep. Do you have a structured brainstorming process? Kara: No, I don’t use any structure. I just think, tell people, “Okay, this is what I’m thinking.” I start with that idea, and “What do you think about it?” Then, it just kind of rolls on from there. Jürgen: All right, that’s great. What’s your favorite tool or system for allowing you to be more innovative? Kara: The tool that I would use is WordPress, and I actually use that for my website. It runs on WordPress and that really allows me to create whatever I want. I can create a webpage in a few minutes if I want. If I have a new service, new product idea, so that really enables me to grow my own online business and to be as innovative as possible. Jürgen: Well, that’s excellent. We love WordPress here. In fact, it’s one of the core tools that we use for all of our websites. Jürgen: All right. What do you think is the best way to keep a project on track or maybe keep a client on track maybe going through one of your training programs? Kara: I like to set up what I call are “goals.” You have a main goal sheet with 3 to 5 goals, not too many, because then you get overwhelmed, you get lost. 3 to 5 goals of what you want to achieve with that client or that project, and by what date. You have to be very specific with what you want to achieve, describe it in as much detail as possible. Don’t just say, “I want 5 new clients by April,” because that’s not going to work. You need to identify who are the clients going to be, how are you going to get them, what services are they going to be interested in. Be very descriptive with your goals and choose a date where you want to achieve those goals by. Jürgen: Okay, well that’s very good advice. Smart goals, and focus on 3 to 5 which presumably should be the most important ones right now. Jürgen: All right. Finally, in “The Buzz,” what’s the number 1 thing anyone can do to differentiate themselves? Kara: Okay. The number 1 thing is to look at not your actual competitors, not at your direct competitors anyway. Look at people who are doing something similar to you, but not the exact service that you provide. Try and copy what they do. For example, for me, my main focus area is business etiquette, but there is not anyone else out there in business etiquette who offers video courses or who has such a strong presence and intention to grow an online business. The whole online business component is very new for business etiquette which is a very traditional industry and business area. Look at what other people are doing outside of your competition and try to see how that would fit into your business, and what you offer customers. Jürgen: That’s great advice. Modeling off somebody else doing something similar, but not necessarily competition, but somebody that’s doing innovative things in their business. Jürgen: That was great advice. What’s the future for Executive Impressions and for you? Kara: This year I have a lot of fun things, exciting projects that are going on. As I mentioned before, I’m moving heavily into video courses, so I’ll be launching my first course in April, and then later on in the year, I’ll be launching some other video courses. The topics are going to be really, really interesting and fun to learn about, and the one thing that I wanted to achieve, though, with the video courses, was to make it a learning experience that is affordable and accessible for people anywhere in the world. I’m very excited about how people are going to receive and see those video courses and other projects that I’m working on is I do want to, I guess I’m a little stubborn in a way. I do want to try my hand again at in-person consulting and in-person work. I’m going to be launching a series of workshops. I will be in Australia from April and from June, I’m planning to hold workshops in Perth which is where I will be, in that city. The workshops will be about leadership and business etiquette, and all sorts of fun things, as well. I’m kind of going back to where I originally started, but from a slightly different angle, and having already built a large following and presence online. I’m very excited to see what happens this year. Jürgen: Well, there’s lots happening so I’m excited to keep track of where you end up later on in the year. Kara: Yeah. That would be great. We’ll have to keep in contact for that. Jürgen: Yeah, and maybe we can catch up after you come back to Australia. Kara: Yes. Well, I’ll let you know if I have a trip planned to Melbourne. Jürgen: All right. In conclusion then, what’s the number 1 piece of advice you’d give to any business owner who wants to be a leader in their field? Kara: The one piece of advice I would give people is your technical skills are important. You need them for your job, you need them to run your business. That is an absolute, but what many people forget about is the soft skills side of things, the way you interact with other people, the way you communicate, the way you project confidence, because that’s one of the issues that many people, clients that I work with, one of the many issues they face, so for business people, to be successful, you need to have a good combination of both technical skill for your industry, and for your business, and also social skill, because you need to interact with your clients, you need to interact with coworkers if you have a large office. Also, other colleagues or even your competitors. Having a good combination of social and technical skill is really the difference between just a good business person and a great one. Jürgen: Yeah, that’s excellent advice. There’s so much in that, isn’t there? There’s communication, there’s empathy, being sensitive to other people’s points of view, and then of course, the areas that you focus on particularly, which is the cross cultural, so being sensitive to people’s cultural backgrounds and influences that they bring to the table there. Jürgen: Well, thank you, Kara. This has been absolutely fascinating. Where can people reach out to you and say thank you for what you’ve shared with us today? Kara: I would love that. I’d love to connect with everybody who’s listened to this episode. I am very present on Twitter and on LinkedIn. My Twitter handle is @ExecImpressions. You can find me there, or you can connect with me on LinkedIn, which is search for my name. My website, if you want to find out about the articles and videos and things like that, get a lot of free advice, go to www.Executive-Impressions.com. Jürgen: All right. Thank you, and we’ll post links to all of those areas on the blog post. Jürgen: Finally then, Kara, who would you like me to interview on a future InnovaBuzz podcast and why? Kara: Who would I like you to interview? Okay. I just came across a man recently, because I’m doing a lot of research and learning about sales for my business, and the person who I signed up to his newsletter, I’m looking at his website, his name is Ian Altman, A-l-t-m-a-n. He is an expert on sales, a sales guru who’s written a couple of books which I am planning on ordering from Amazon. I would love to have a listen to him, have a listen to a podcast episode with him, get his tips and tricks on how to be a good sales person in business. Jürgen: All right. Well, thanks for that suggestion, and Ian Altman, if you’re out there listening, we’ll be coming to invite you to the InnovaBuzz podcast, courtesy of Kara Ronin. Thanks again, Kara, for sharing your time and your insights with us so generously today on the InnovaBuzz podcast. I’ve really enjoyed this immensely. I’ve learned a lot, and I’ve been transported back into my days when I’ve been traveling around and all the challenges that brings with it, dealing with people in different cultures, so I’m going to have – to have a closer look at some of your video courses when they come out, just to refresh my knowledge. Jürgen: I wish you all the best for the future of Executive Impressions, and let’s keep in touch. Kara: Absolutely. Thank you so much for this episode today, and I’ve had a really fun conversation with you. That was certainly another really insightful interview! I learnt quite a bit and I hope you too take away some useful information. I promise that I did NOT prep Kara before the interview to talk about the importance of publishing content! All the show notes for this episode will be at innovabiz.com.au/kararonin, that is K-A-R-A-R-O-N-I-N, all lowercase, all one word, innovabiz.com.au/kararonin, for all of the links and everything we spoke about in this episode .